May 24th, 2018 | Categories: Celebrity Real Estate. 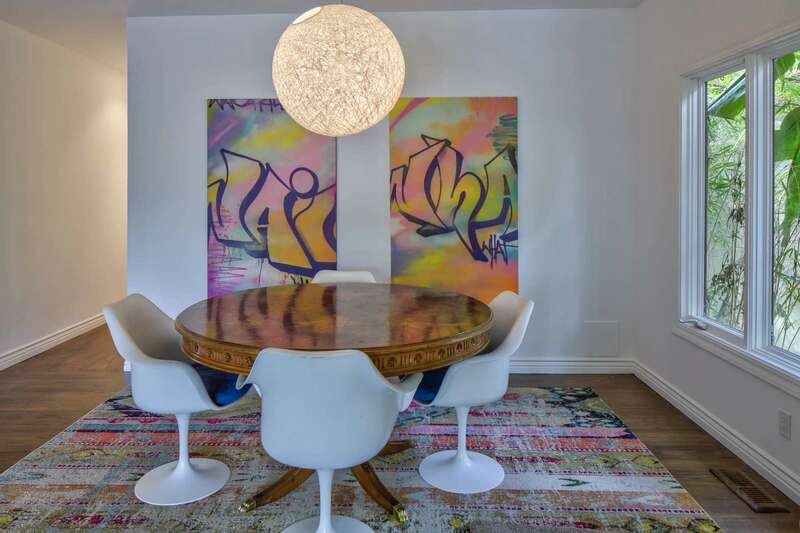 Tags: Anna Faris, best home stager, best home staging, celebrity real estate, home staging, and luxury home staging. Anna Faris’ house is for sale. 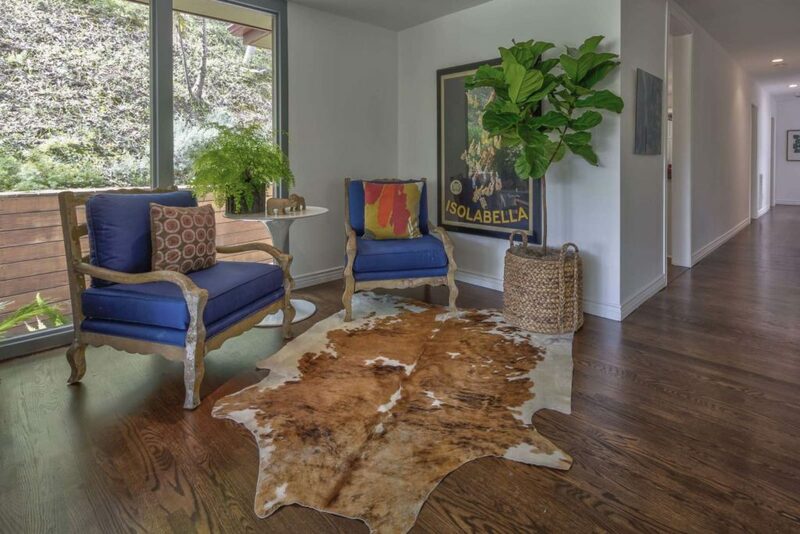 The actress, podcaster, and all around funny lady, recently listed her Hollywood Hills home for sale – again. 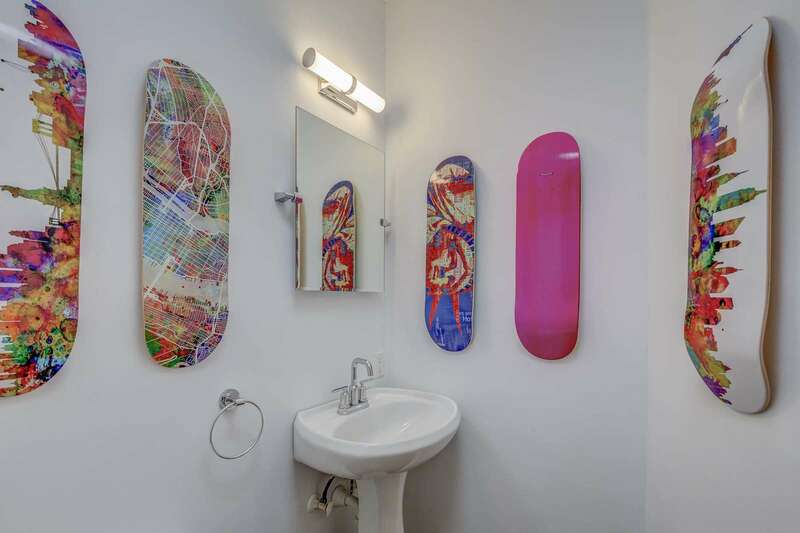 According to Curbed LA the home has been on and off the market a number of times this year. 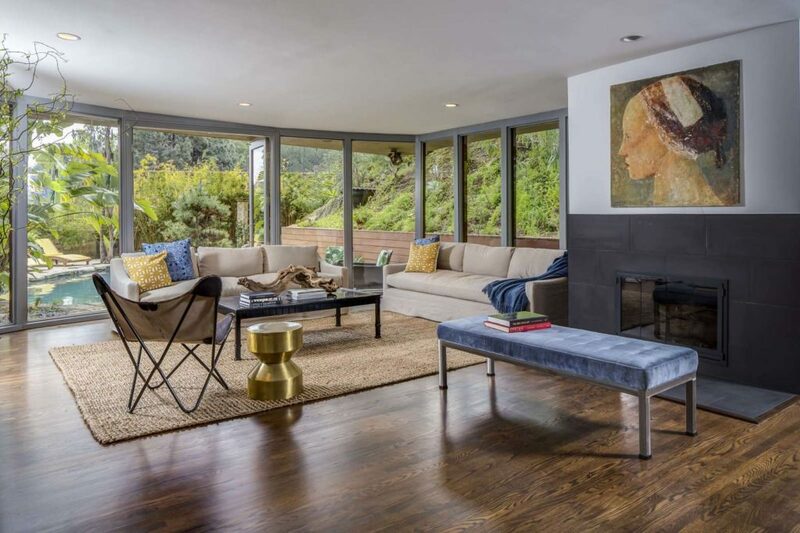 Hard to believe Anna Faris’ house, the below mid century modern gem which was built in 1950 and sits on almost 1 acre of land has had difficulty selling. The three-bedroom, three-bathroom home is listed for $2.495 and includes a pool and bocce ball court. This house is surrounded by lush landscaping and is currently sporting a very LA and eclectic style, coupled with Mid-Mod pieces. Perhaps, with the current style, potential buyers are having trouble visualizing themselves and their belongings in the space. 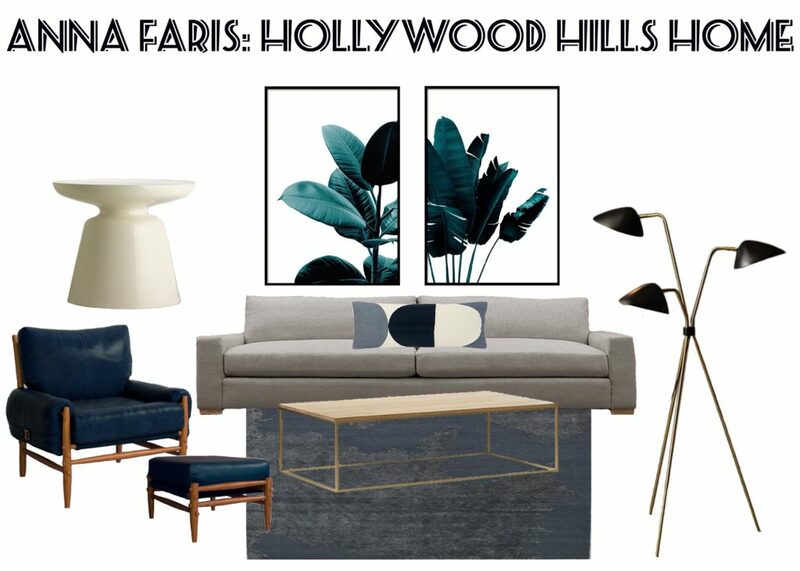 As a result, through an analysis of Farris’ home and a mood-board, I’ll show you how I would utilize home staging to get Anna Faris’ home ready for sale. Custom urban inspired art, eclectic style with touches of Mid-Mod. The home is very modern so I want to create a design aesthetic that is in keeping with the home and the neighborhood’s target home-buyer. The plan is to stick with a color palette that will appeal to a broader spectrum of buyers while still maintaining a mid century feel. Finally, we’ve created a space with a more muted and cohesive color palette. I decided to especially go with a palette that revolved around different hues of the color blue. The blue was paired with creams and greys, which are light and airy neutrals. You can always bring in some pattern and textures with throw pillows and by using different fabrics and textures in specific furniture pieces. For example, the arm chair and ottoman are a navy leather and the sofa is grey upholstery fabric. I added the artwork to tie it all together and bring the foliage from the outside, indoors – plus palm trees and California go hand in hand. Now this space is ready to be shown to potential buyers!